Better sales teams start with better training. Seismic’s robust training platform gives your organization the edge to increase sales productivity. Get reps up to speed faster, create more top sellers, with targeted training on specific buyers and sales scenarios. Onboarding, continuing education, and other training resources are automatically available in easy to navigate landing pages that each serve as a training microsite. 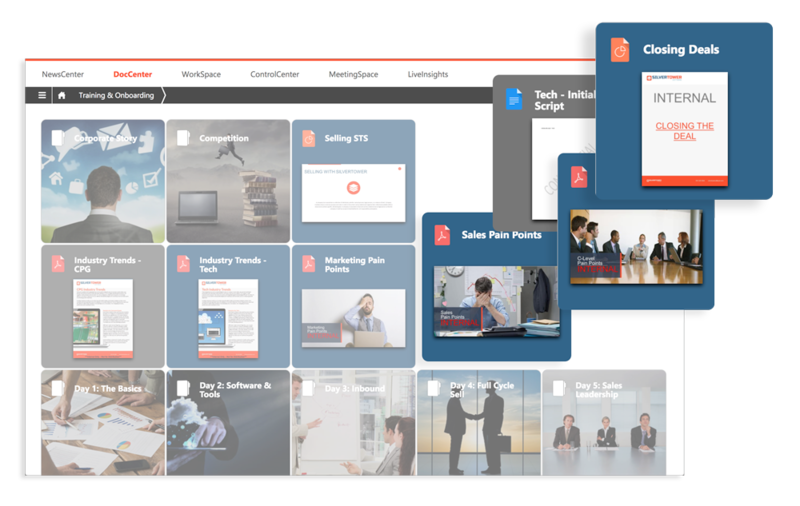 Showcasing the most useful training assets, new content, and other featured learning materials on the landing page for each profile. 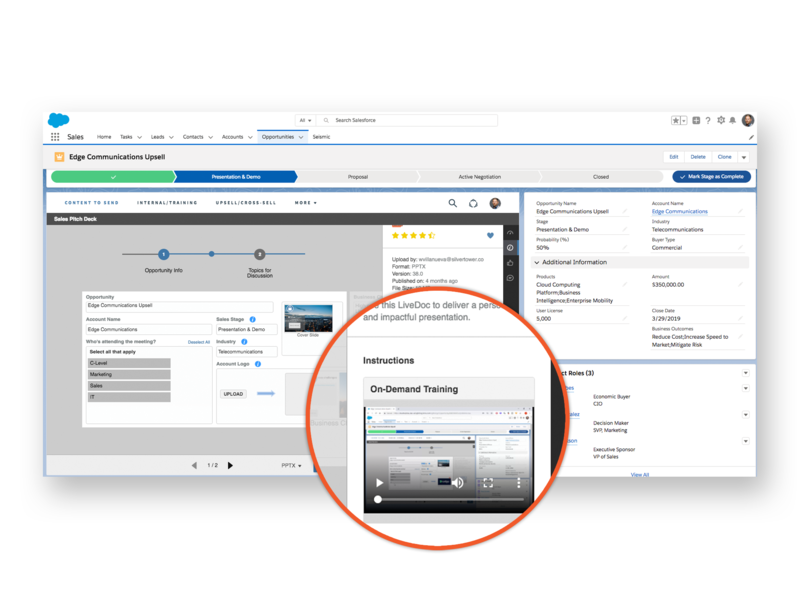 Deliver training content to your sales team right in CRM records, in the context of specific buying scenarios. Internally housed training content (or sync with an external sales readiness system) is instantly severed up for just-in-time training targeted to the seller, buyer, and sales stage. See which reps, teams, and trainees are using the platform and training materials, and how often. 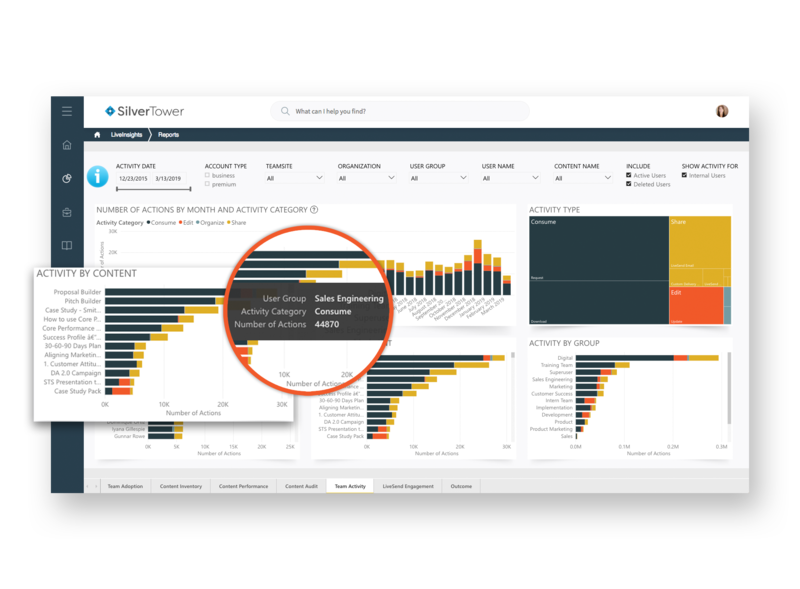 Map training material usage to sales performance to identify the most useful training, reveal any training deficiencies, and focus resources for the greatest impact. Identify top sellers’ best practices to replicate across training programs and teams. Brainshark’s integration with Seismic is about providing customers with a powerful solution to not only arm their salespeople with the right content, but to also ensure they’re always prepared with the knowledge and skills to use those resources effectively and consistently win more deals. With MindTickle and Seismic, every team involved in enabling sales to accelerate deals and increase win rates—from Sales Ops to Enablement to Product Marketing—will know that they are doing their part to have their impact felt on the bottom line.